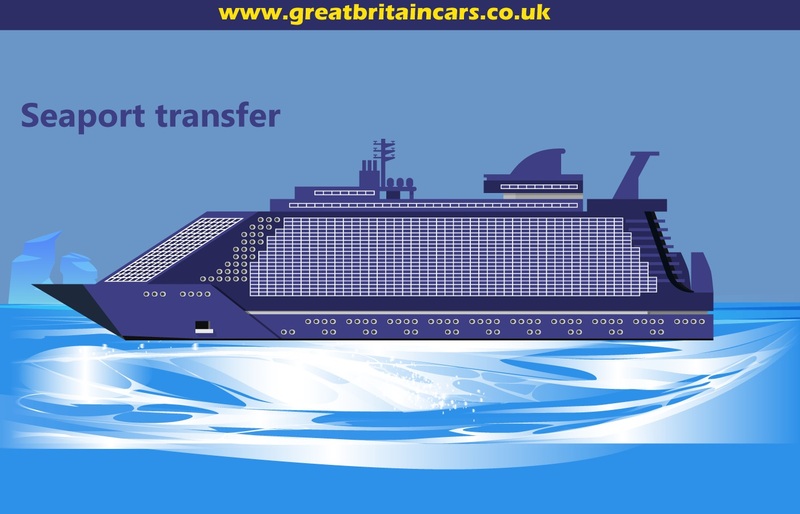 In the competitive world, Great Britain Cars' Airport Transfer UK have the task of giving people the best London Airport transportation and sea ports Transport that is pretty great for those who want to make their journey without waste of time. 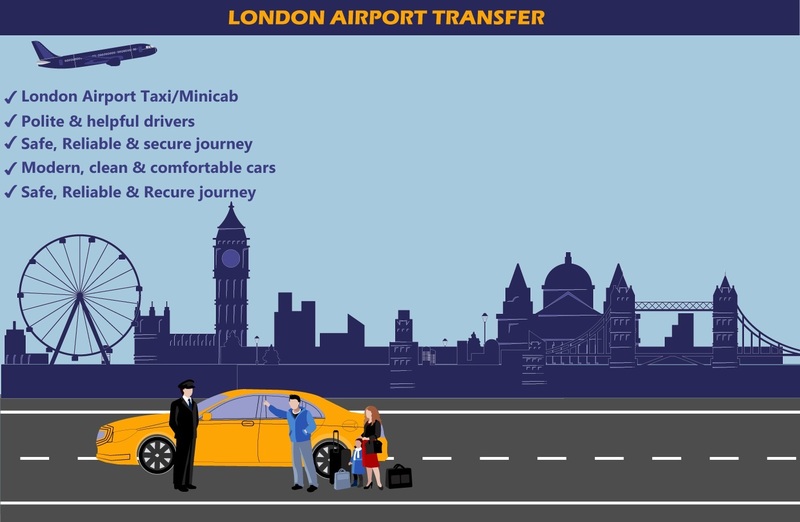 We provide you best London Airport cab services along with mini cabs and some other cabs so you can make your journey to the airport comfortable. We provide free meet and greet services to you various transportation services to many airports like London, Cambridge, Bristol, Windsor Castle, and many airports throughout the London so you can feel the comfort in your journey. 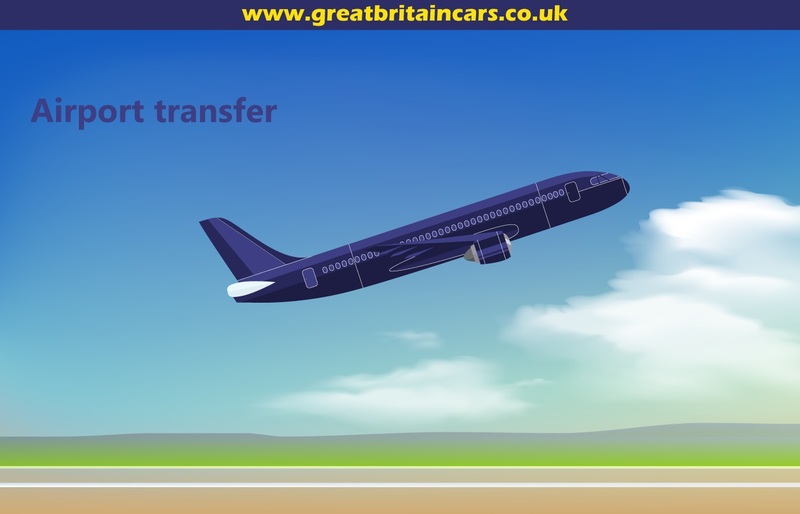 Before Booking London Airport Transfer with Great Britain cars, you may be thinking that why you are required to take our professionals services. The simple answer for this comes that we are dedicated toward our works and do everything to maintain the quality of the service. 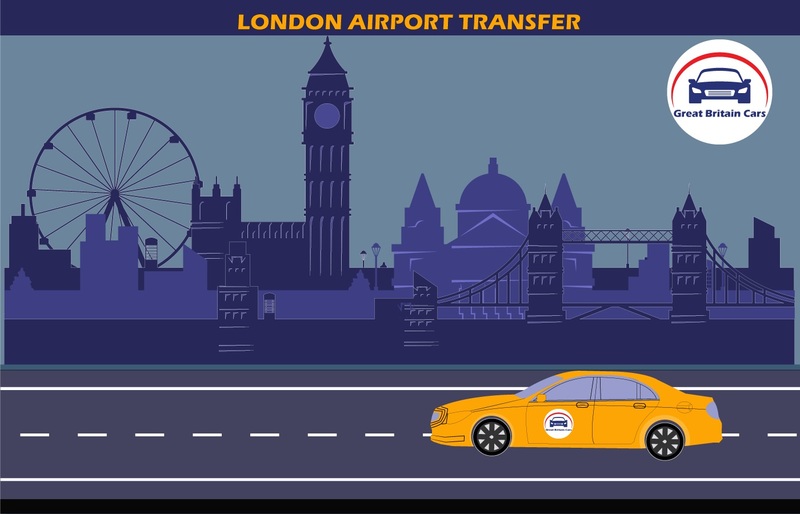 If you are looking for London Airport Taxi .All you need to do is to hire our london Airport minicab and before you land at the airport, our driver will be there at the airport keeping the nametag in its hand for you and will pick you up from here easily. We will surely give you the value of your money by our services for all that you love. This will also give you a satisfaction when you would pay for the service by the dedicated services. It is not only about inside of the London but clients toward the whole world book the cabs and enjoy the best Airport minicab experience at cheap cost Compare to London Airport Taxis. This is because it is always a wise choice to book a cab before the landing of your flight and for this, you have to go online. There are different types of websites that will surely take a lot of information from you. We are just a few clicks away from and will surely give you a better service by asking you as less questions as possible. We provide our London Airport transfer services at different airports like London city airports, Gatwick airport, Stansted airport, Southend airports; Heathrow airport is totally covered by all of us. The most important work comes in the form of giving you something better so you can enjoy taking the ride in such Airport minicabs. We provide you these minicabs are able to give you a better option rather than going to those London Airport taxis. This will also be beneficial for you in order to maintain the cost that you pay to those cabs. This is cheaper than those things. We also offer you first class cab service that means, you can enjoy the luxurious ride in such Airport taxies. Sometimes, people prefer business class seats in flights so why not to take these first class cab services to the airport? These cabs are able to give you the best experience of riding and luxury too. We have trained our drivers with the best experience and they are also professional and experienced in the same manner. We are able to serve you the professional and experienced drivers who will surely take care of your comfort and security. For the better protection of you, we have installed GPS that can easily track the position of the vehicle easily. The major thing is coming in the form of giving your organization a better track along with all the necessary thing that you want in a cab. In other words, you should know that you are giving yourself in safe hands and with years of working time, we have served a lot of customers by our great services. Whenever you think about to book a cab, the first thing appears in your mind is that dull and old cab. We are totally different and worked a lot for this. We provide new looking cabs and also offer you the best experience of riding in luxury cars. These cars are equipped with all the luxuries that you would surely love. If you are coming for the business purpose, these will help you feeling the luxury of business class. There is no fear of license or anything else with the drivers that we train for. They know the alternate way options too so they will able to drop or pick you from the airport whether it is overcrowded in the market. This is pretty easy to be taken that you just need to tell them whether you need to go somewhere else or want to stop at a certain place. They have full control over their driving so you don’t need to be afraid. We provide you basically, air terminal welcome by the driver. That means, you would be picked up from the waiting stand.The other thing that we provide you is pretty good and that is there is no waiting time fee or extra charge that we would bother on you. This totally free whether the flight is delayed or not. We won’t charge you anything more for that. We also track where the flight is right at the moment so if you want to reach at the airport, we would also tell you where the flight is and let you reach there at the time.The major option that you are given is also there to choose your comfort with the quality of the cab. You can either take the luxury cab or a normal cab for cheaper price. We provide you both the options like you can either pay online or you can give cash amount to the drivers at the same time. In case, you don’ have enough cash, you can pay online or use some of the popular wallets for the payment. You can even direct transfer the amount by credit or debit card at the same manner. Don’t worry about the security of the payment because it is totally safe and won’t take any type of matters. We provide you the service of going to another airport from one so you can easily feel comfort. Our drivers are professional and know the way pretty well. They will choose the shortest way possible even in the dense areas. A luxury cab and also use the free Air Conditioner along with the cab. We also let you use a laptop that you can use for your personal or professional works at the same time. We also let you read the daily newspapers so you could keep yourself updated with what is going on there where you are travelling. We also provide you some refreshment things that will surely love by you. These can be complementary refreshment products that you can use personally. We also provide our services on all popular airports so if you want to take this, our driver will be waiting for you at the waiting hall handling the signature board with its name. How Great Britain Cars Works? All airport pick up there is £8 surcharge to cover upto 30 minutes of car parking. Free waiting time 1 hour after flight landing. or if you call from outside UK: +4420 3006 6550. Modern, clean & comfortable cars, with latest GPS technology. 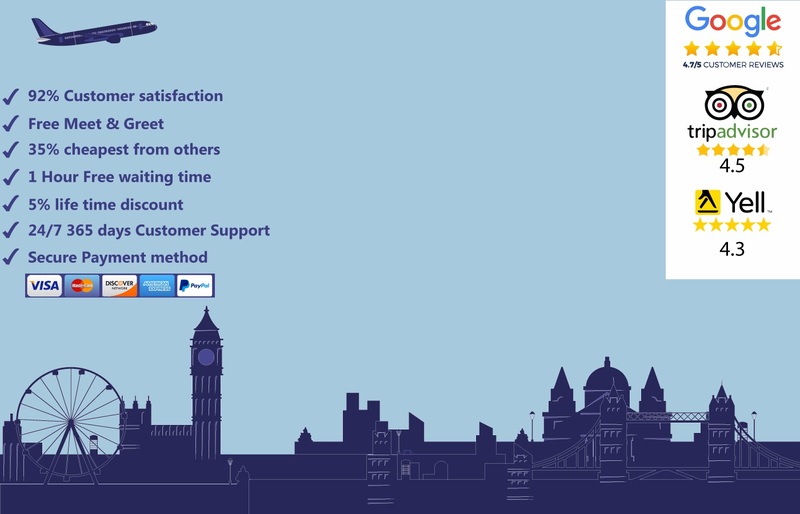 24/7 365 days customer service by web chat, email and telephone.